News Portal is a fully widgetized theme perfect for News, Blogging and Magazine purposes. Its intuitive design and live customizer makes building catchy Magazine websites extremely easy and efficient. 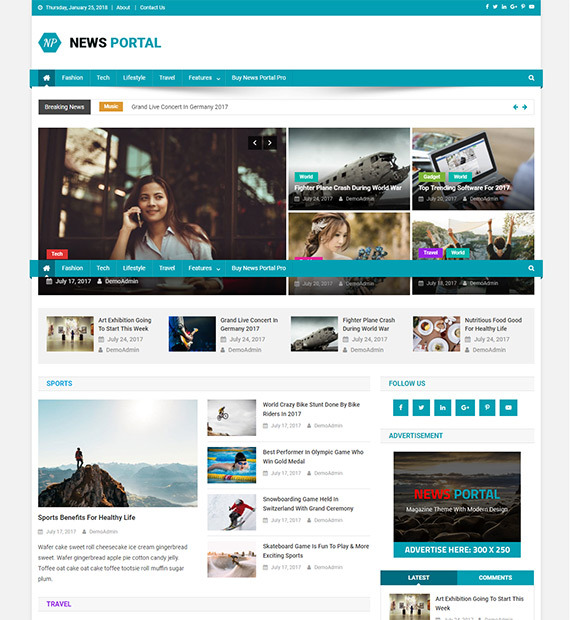 With a Free and Premium paid model, News Portal is a great theme for any user, from beginning bloggers to respected Media organizations. Furthermore, the Wide range of color schemes and Retina ready design ensures that almost every reader will appreciate your website’s design. Improve the user experience with the unique post option that prevents the same post repeating again after you select or tick off an option.